The Telegraph is reporting that couch potato lifestyles could put an end to the welfare state. A landmark report now warns that Britain's appalling couch potato lifestyle is one of the worst in the world. It could cause the collapse of the welfare state, the bombshell report warns. 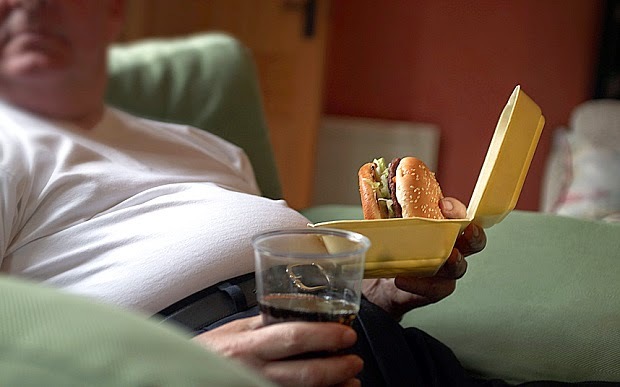 Couch potato lifestyles have left the UK with one of the lowest levels of activity in the western world, and without change, the welfare state could collapse, health officials have warned. From Science Daily: At the 2013 annual meeting of the American Association of Neuromuscular & Electrodiagnostic Medicine (AANEM) a study was introduced that is considered a good first step in collecting data on vaccine-preventable illnesses in patients with myasthenia gravis. Myasthenia gravis is a rare neuromuscular disorder causing weakness and rapid fatigue of voluntary (skeletal) muscles. "This research is important because there is very little existing data to guide physicians in recommending vaccination for patients with myasthenia gravis," said Andrew Tarulli, MD, AANEM News Science Editorial Board member. How a young model found success - despite dealing with her rag-doll disease, myasthenia gravis. A recent article in The Daily Mail (Online) reported on the success and determination of model, Clare-Alana Ford as she struggles with the rare muscle condition, myasthenia gravis. As a model she has to hold hard, angular poses for long periods. But the condition causes her to suddenly become weak and 'floppy' without notice. Just like a rag-doll. Ms Ford, 22, from Hayling Island, Hampshire, suffers from a bizarre condition that makes her body go limp and weak without warning. The following article describes Ms Ford's journey, starting at age 17 when she first experienced symptoms and later when her thymus gland was surgically removed. More than 60,000 Americans are dealing with myasthenia gravis (MG), an incurable autoimmune disease that causes weakness of the muscles. The primary treatments, which haven't changed since the 1950's are nonspecific immunosuppressants and inhibitors of the enzyme cholinesterase.